. : Coyotes in Gatineau Park :: Ski XCOttawa.ca :: Skiing in Ottawa and Gatineau Park :. According to this GuideGatineau post, the NCC thinks this was a dog. Probably. We have in the past seen evidence of some sort of predatory canine activity in the park. Usually just the remains and not the predators. David McCaw sent us the following note and coyote photo to remind us the we aren't alone in the park. No reason to panic just be aware. I was out early Saturday (6h30) from P3 Gamlin. 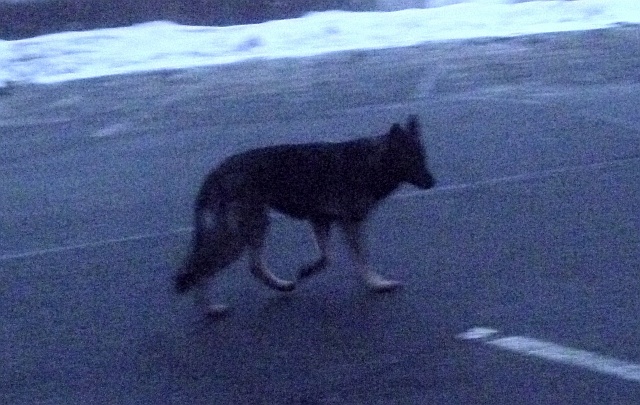 There was a woman skier that was trying to get out of her car - but a coyote was circling her car. She said it had been there for 30 min. She left. It did not bother me. I did not know they came in so close to the city.